Vertical Rail is focused on increasing profitability for clients. Amazon’s algorithm tends to give higher rankings and rewards the Buy Box for listings that are most likely to be purchased. This means potential for higher conversion rates which tend to drive up sales rankings. We approach Amazon product optimization (Amazon SEO) with this in mind, sculpting product content to appeal to the consumer and increase conversion rates, while targeting relevant keywords with high buyer intent. This approach ultimately increases reach and sales for Amazon sellers, merchants, brands, and manufacturers that we help. With our Amazon listing optimization service, we sculpt product content to appeal to the needs of the shopper and to the needs of the Amazon search algorithm. This results in a snowball effect, increasing sales, which increases sales rank and can increase Buy Box wins. A team of Amazon SEO experts. Keyword research to identify phrases that are relevant to your products, and refining copy, imagery, and structured data. Basic competitive analysis within your product’s categories. Improving conversion rates using A+ Content or Enhanced Brand Content (if client has Brand Registry). Implementing a strategy to optimize conversion rates by improving product details, image quality, and reviews. Making sure products are properly categorized. Assisting with performance notifications - like order defect rates, late shipment rates. Forward-thinking and vision to create a flexible strategy that will evolve at pace of business. A successful Amazon optimization program includes a long list of nuanced tasks, and we will create a custom structured program to get those done to make your products more visible. We help Amazon Sellers (Wholesale, FBA & Seller Fulfilled) become more competitive within the marketplace by applying advanced content, product and brand optimization strategy. We will take an objective look at your current Amazon business marketing strategies. We research keywords specifically for Amazon, first identifying keywords relevant for your products and evaluating them based on buyer intent and popularity. By taking your existing product content and refining copy, inserting keywords, and sculpting the buyer experience, your products will rank higher and reach those who search for them. Do you have Brand Registry? If not, you’re missing out. It’s crucial to develop a strategy based on your business goals. This strategy is aimed at increasing your relevance in Amazon, and improving visibility and sales. 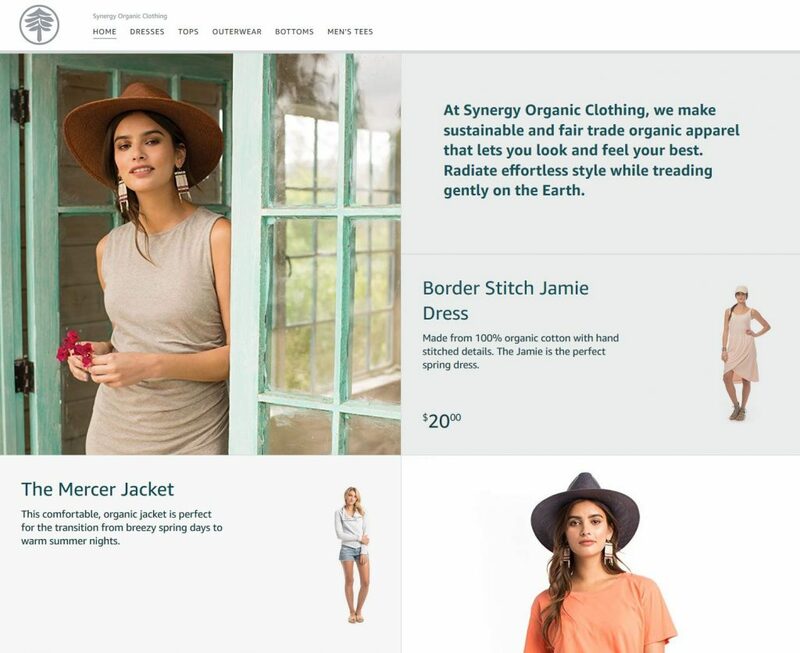 For brands looking to differentiate themselves from third party sellers, Enhanced Brand Content can serve as a valuable tool to improve conversion rates, sales, and Buy Box wins. It all comes down to the bottom line. Our strategists will develop a plan that increases the bottom line profitability of your business and keeps you from violating Amazon rules, which will keep you in the game. Communication is key. We offer a consult based on expert competitive analysis within the Amazon Marketplace. We’ll discuss our findings, and share with you a breakdown of what we can accomplish for your business. Offer your Amazon customers and potential buyers an enhanced brand-centric collection of products whether they’re on a desktop or mobile phone. A Brand Store will help your business become a distinctive company in the ever-growing competitive world of Amazon. Introduce your brand to new audiences. Easily share Store with social media networks. Increase traffic with Sponsored Brands.